First space walk. Speed and altitude records. A disaster: astronaut unable to reenter airlock due to spacesuit stiffness; cabin flooded with oxygen; manual reentry, landed in mountains, crew not recovered until next day. Further Voskhod flights cancelled. AKA: Almaz (Diamond). Launched: 1965-03-18. Returned: 1965-03-19. Number crew: 2 . Duration: 1.08 days. Location: RKK Energia Museum, Korolev, Russia. First spacewalk, with a two man crew of Colonel Pavel Belyayev and Lt. Colonel Aleksey Leonov. During Voskhod 2 's second orbit, Leonov stepped from the vehicle and performed mankind's first "walk in space." After 10 min of extravehicular activity, he returned safely to the spacecraft through an inflatable airlock. This mission was the original raison d'etre of the Voskhod series, with the original name 'Advance'. It almost ended in disaster when Leonov was unable to reenter the airlock due to stiffness of the inflated spacesuit. He had to bleed air from the suit in order to get into the airlock. After Leonov finally managed to get back into the spacecraft cabin, the primary hatch would not seal completely. The environmental control system compensated by flooding the cabin with oxygen, creating a serious fire hazard in a craft only qualified for sea level nitrogen-oxygen gas mixes (Cosmonaut Bondarenko had burned to death in a ground accident in such circumstances, preceding the Apollo 204 disaster by many years). On re-entry the primary retrorockets failed. A manually controlled retrofire was accomplished one orbit later (perhaps with the backup solid rocket retropack on the nose of spacecraft - which did not exist on Vostok). The service module failed to separate completely, leading to wild gyrations of the joined reentry sphere - service module before connecting wires burned through. Vostok 2 finally landed near Perm in the Ural mountains in heavy forest at 59:34 N 55:28 E on March 19, 1965 9:02 GMT. The crew spent the night in the woods, surrounded by wolves, before being located. Recovery crew had to chop down trees to clear a landing zone for helicopter recovery of the crew, who had to ski to the clearing from the spacecraft. Only some days later could the capsule itself be removed. Although trumpeted to the world as a triumph (with suspect TV pictures and film of the spacewalk which did not match), this was the swan song of the Soviet space program and for Korolev. Follow-on Voskhod missions were cancelled as too dangerous, and America took the lead with Gemini 4 and subsequent missions taking the records for duration, rendezvous and docking, and spacewalking. Family: Manned spaceflight. People: Belyayev, Leonov. Country: Russia. Spacecraft: Voskhod. Launch Sites: Baikonur. Agency: MOM. 1964 December 29 - . Vykhod training - . Nation: Russia. Related Persons: Belyayev, Gorbatko, Khrunov, Leonov. Program: Voskhod. Flight: Voskhod 2. Spacecraft: Berkut, Voskhod. Belyayev, Leonov, Khrunov, and Gorbatko are undergoing zero-G training in spacesuits aboard a specially-outfitted Tu-104. .
1965 January 7 - . Vykhod simulations - . Nation: Russia. Program: Voskhod. Flight: Voskhod 2. Spacecraft: Berkut, Voskhod. Kamanin is at LII the entire day, reviewing problems the cosmonauts are having in use of the Volga airlock and Berkut spacesuit in short zero-G arcs flown by a Tu-104. .
1965 January 8 - . Vykhod equipment - . Nation: Russia. Related Persons: Belyayev, Leonov. Program: Voskhod. Flight: Voskhod 2. Spacecraft: Berkut, Voskhod. Kamanin spends the day with key OKB-1 staff and leading cosmonauts in reviewing problems with the Volga airlock and Berkut spacesuit at Factory 918. There are more than 50-60 presentations made by all concerned organisations. Belyayev and Leonov say that the trainer aboard the Tu-104 is sufficient for them to prepare for the task. However everything must be done to allow the feat to be accomplished with minimum energy on the part of the cosmonaut and with total reliability of the equipment. 1965 January 12 - . Vykhod review - . Nation: Russia. Related Persons: Leonov. Program: Voskhod. Flight: Voskhod 2. Spacecraft Bus: Vostok. Spacecraft: Voskhod. Over 60 leading engineers and cosmonauts review progress on development of Vykhod systems and spacewalking techniques. The group views films of Leonov training in zero-G in the Tu-104 aircraft, as well as an American film of the moon as taken from Ranger on its kamikaze impact mission. Development of systems seems to be going very well and very thoroughly. Both the men and the equipment should be ready by 15 February. There remains the need for a back-up oxygen supply for the spacewalker, and improved reliability of the primary KP-55 oxygen generator. Development of the technology to allow the cosmonaut to leave the spacecraft is essential for later manned explorations of the moon and planets. OKB-1 program review - . Nation: Russia. Related Persons: Gorbatko, Leonov, Zaikin. Program: Voskhod. Flight: Voskhod 2. Spacecraft: Berkut, Voskhod. All systems development is complete, and the two boosters for Vykhod are ready. The launch of the pathfinder spacecraft with mannequins aboard will take place at the end of January, with the manned mission scheduled for March. Leonov's spacesuit is complete, but Zaikin's will not be finished until 5 February, and there will exist only the metal detail parts for Gorbatko's suit. 1965 January 18 - . Beregovoi aboard Voskhod - . Nation: Russia. Related Persons: Belyayev, Beregovoi. Program: Voskhod. Flight: Voskhod 2. Spacecraft: Berkut, Voskhod. Kamanin is being pressured by his superiors to fly Beregovoi as commander of the Vykhod instead of Belyayev. Kamanin considers Beregovoi not to be necessarily a bad candidate, but the crews already selected have been training for six months and it would be dangerous to introduce someone relatively untrained into the crews. Furthermore, it would take 45 to 60 days to fabricate the custom spacesuit needed for Beregovoi. Therefore Kamanin rejects the suggestion. He notes that the Americans have launched a Gemini capsule unmanned - this after two earlier unsuccessful Titan 2 launches. In 1965 the Americans are planning 3 or 4 manned flights with the Gemini spacecraft. 1965 January 19 - . Vykhod crews - . Nation: Russia. Related Persons: Belyayev, Beregovoi, Gorbatko, Khrunov, Leonov, Zaikin. Program: Voskhod. Flight: Voskhod 2. Spacecraft Bus: Vostok. Spacecraft: Voskhod. Faced with continuing pressure to fly Beregovoi on the Vykhod flight. Kamanin notes that the spacecraft requires short cosmonauts of minimum weight (Belyayev is 170 cm tall and weighs 72 kg; Leonov 172 cm and 78.2 kg; Gorbatko 168.5 cm and 69 kg; Khrunov 171 cm and 70.8 kg; and Zaikin 167 cm and 69.3 kg). By comparison Beregovoi is 180 cm tall and weights 84.5 kg. 1965 January 28 - . Unmanned Vykhod airlock tests - . Nation: Russia. Program: Voskhod. Flight: Voskhod 2. Spacecraft Bus: Vostok. Spacecraft: Voskhod. The first tests of the airlock in the TBK-60 pressure chamber are successful. The airlock is taken up to 35 km altitude equivalent..
1965 January 29 - . Manned Vykhod airlock test fails. - . Nation: Russia. Program: Voskhod. Flight: Voskhod 2. Spacecraft: Berkut, Voskhod. The first manned test of the airlock fails before an audience of 60 government and industry leaders. A VVS pilot in a spacesuit was to demonstrate the entire sequence involved in exiting into space. (release of the forward ring, inflation of the airlock, opening of the hatch between the spacecraft and airlock, closing the hatch, evacuation of the air from the airlock, opening of the outer hatch of the airlock, then the sequence in reverse). Two attempts are made at 15 km equivalent altitude, but the hatch from the spacecraft to the airlock cannot be opened due to defects in its construction in the first try. This is fixed, but on the second try the Vega system that monitors the cosmonaut's condition fails. 1965 February 3 - . Vykhod airlock experiments - . Nation: Russia. Related Persons: Korolev. Program: Voskhod. Flight: Voskhod 2. Spacecraft Bus: Vostok. Spacecraft: Voskhod. At Chkalovskiy Airfield, the Vykhod airlock experiments are repeated, this time to an altitude of 37 km. This time the tests, run at up to 37 km equivalent altitude, are successful. The cosmonaut's pulse reached 90-108 per minute during the effort to get into the lock and open it. In all the test took two hours, but Korolev was pleased with the results. But afterwards he differs with Kamanin in the need for a 16-m arm centrifuge to be used for cosmonaut training. It should mainly be used by industry, Korolev believes. 1965 February 5 - . Vykhod redesignated Voskhod 2 - . Nation: Russia. Related Persons: Belyayev, Leonov. Program: Voskhod. Flight: Voskhod 2. Spacecraft Bus: Vostok. Spacecraft: Voskhod. The 3KD spacecraft will be known as Voskhod-2 rather than Vykhod. It was felt that 'Vykhod' ('exit') would reveal the purpose of the flight, which should not be revealed unless the experiment succeeds. The cosmonauts are training very hard in the zero-G trainer and will use the airlock at 37 km equivalent vacuum in the TBK-60 on 8 February. The motto is "Train hard to make it easy to do". 1965 February 6 - . Voskhod-2 State Commission - . Nation: Russia. Related Persons: Korolev, Severin, Tsybin. Program: Voskhod. Flight: Voskhod 2. Spacecraft Bus: Vostok. Spacecraft: Voskhod. The first meeting of the State Commission for the Voskhod-2 flight is held. Korolev, Tsybin, Severin, and other testify to the readiness of the spacecraft and booster systems. It is decided to fly the pathfinder mannequin fight on 14-16 February, and the crewed flight on 25-27 February. Kamanin objects that the radio beacon system on Voskhod is less reliable than that on Vostok, as proven on the Voskhod-1 mission. 1965 February 9 - . Voskhod 2 crew selection. - . Nation: Russia. Related Persons: Belyayev, Khrunov, Leonov, Zaikin. Program: Voskhod. Flight: Voskhod 2. Spacecraft Bus: Vostok. Spacecraft: Voskhod. The State Commission meets to consider Voskhod 2 crew assignments. Belyayev and Leonov are named the prime crew, with Zaikin and Khrunov as their back-ups. .
1965 February 11 - . Cosmos 57 preparations - . Nation: Russia. Related Persons: Khrunov, Zaikin. Program: Voskhod. Flight: Voskhod 2. Spacecraft Bus: Vostok. Spacecraft: Voskhod. After a one-day diversion to Tashkent due to bad weather, Kamanin and the VVS delegation land at Baikonur. The weather is -10 deg C and heavy snow. It is reported from Moscow that Zaikin and Khrunov successfully operated the airlock at 37 km altitude in the TKB-60, and this time the Vega system finally worked. In the evening, as the others leave for a film, Kamanin looks out from his room in the cosmonaut dormitory at Area 17. He sees hundreds of new buildings in the snow, where none existed only five years ago. Baikonur is truly developing into a powerful space centre. 1965 February 12 - . Cosmos 57 delayed - . Nation: Russia. Related Persons: Korolev. Program: Voskhod. Flight: Voskhod 2. Spacecraft Bus: Vostok. Spacecraft: Voskhod. Once again the primary Tral system aboard the spacecraft has failed, and it will take 7 to 8 days to replace. Korolev, Kamanin, and the other leaders return to Moscow..
Cosmos 57 preparations resume. - . Nation: Russia. Related Persons: Bogomolov, Korolev. Program: Voskhod. Flight: Voskhod 2. Spacecraft Bus: Vostok. Spacecraft: Voskhod. Kamanin and Korolev return to the cosmodrome. Korolev is furious with Bogomolov over the continuing Tral problems and with Bogomolov's outspokenness. Meanwhile the problem of what to do if the airlock loses pressure is discussed. No good solution is found; in such a case the cosmonaut would be unable to enter the capsule. Finally the problem of which tracking station will issue the signal for opening and closing the airlock is discussed. IP-7 at Klyuchi and IP-6 at Yelizovo are both possibilities. Korolev would like both to be able to do so, in order to have a backup. It occurs to Kamanin that these kinds of problems could easily be handled if the first Voskhod-2 had a crew aboard. As spacecraft become increasingly complex, it will eventually be necessary to fly space missions with crews aboard that are not publicly announced. He foresees a need for many such 'black' flights in the future to prove out new systems, to complete military operations, and to train crews. In the evening all problems are finally solved and the Voskhod spacecraft declared ready for flight. Cosmos 57 preparations - . Nation: Russia. Related Persons: Korolev. Program: Voskhod. Flight: Voskhod 2. Spacecraft Bus: Vostok. Spacecraft: Voskhod. Barring any further discrepancies, the spacecraft will be mated to the launch vehicle and rolled out to the pad on 20 February. Launch will be 21-22 February. Voskhod-2 with a crew aboard won't launch until the first half of March. However Korolev is preparing the Ye-6 robot lunar soft lander for launch on 13 March, making it an end of March launch date more likely for Voskhod-2. Kamanin still questions the radio systems aboard Voskhod, and Korolev placates him by saying a new system will be developed for Voskhod-3. 1965 February 21 - . LV Family: R-7. Launch Vehicle: Voskhod 11A57. Cosmos 57 roll-out - . Nation: Russia. Program: Voskhod. Flight: Voskhod 2. Spacecraft Bus: Vostok. Spacecraft: Voskhod. The booster is rolled out to the pad at 08:00, slightly behind schedule after delays in mating the spacecraft the day before. It is -22 deg C at the launch centre; conditions at the landing site are poor, but his will not delay the launch. .
1965 February 22 - . 07:40 GMT - . Launch Site: Baikonur. Launch Complex: Baikonur LC31. LV Family: R-7. Launch Vehicle: Voskhod 11A57. Cosmos 57 - . Payload: Voskhod 3KD s/n 1. Mass: 5,682 kg (12,526 lb). Nation: Russia. Related Persons: Korolev. Agency: Korolev bureau. Program: Voskhod. Class: Manned. Type: Manned spacecraft. Flight: Voskhod 2. Spacecraft Bus: Vostok. Spacecraft: Voskhod. Duration: 0.22 days. Decay Date: 1965-02-22 . USAF Sat Cat: 1093 . COSPAR: 1965-012A. Apogee: 708 km (439 mi). Perigee: 159 km (98 mi). Inclination: 64.80 deg. Period: 93.20 min. Unsuccessful mission. Voskhod 2 test. Immediately after orbital insertion airlock and spacesuit inflated normally. Then two ground control stations sent commands to the spacecraft simultaneously. The combined signals accidentally set off the retrofire sequence, which some time later triggered the self destruct mechanism (designed to prevent the spacecraft from falling into enemy hands). 1965 February 23 - . Cosmos 57 failure analysis - . Nation: Russia. Related Persons: Korolev. Program: Voskhod. Flight: Voskhod 2. Spacecraft Bus: Vostok. Spacecraft: Voskhod. Korolev is confined to his cottage with a high temperature. Meanwhile tapes and documentation are being flown in from Kamchatka, Moscow, and Kolpasheva, and experts are flying in from OKB-1. So far it has been discovered that IP-6 and IP-7 were simultaneously communicating with the spacecraft at the time the re-entry sequence began. 1965 February 24 - . Cosmos 57 investigation stalled - . Nation: Russia. Related Persons: Tyulin. Program: Voskhod. Flight: Voskhod 2. Spacecraft Bus: Vostok. Spacecraft: Voskhod. An accident commission has been formed, but receipt of tapes from IP-7 and IP-6 are held up by bad weather in Omsk. This incident certainly seems to have ended any consideration of Kamanin's idea of flying secret 'black' missions with crews aboard to test new spacecraft. The launch of the E-6 Lunik is set for 12 March, so Tyulin has pushed the Voskhod-2 manned launch back to the end of March at a minimum. Cosmos 57 failure analysis - . Nation: Russia. Related Persons: Korolev, Malinovskiy, Mnatsakanian. Program: Voskhod. Flight: Voskhod 2. Spacecraft Bus: Vostok. Spacecraft: Voskhod. The tapes finally arrive from all concerned tracking stations by 11 am. Korolev is ill, and his deputies work in his place. At 16:00 the accident commission meets. They find that at precisely the same time, IP-6 and IP-7 transmitted command 42 (decompress airlock) to the spacecraft. In such a case, the command could have been received and interpreted by the spacecraft as a single command 5 (retrofire). IP-6 was supposed to have transmitted the command at this point in the mission, with IP-7 to retransmit them as a backup only on command from Moscow. However IP-7 thought at the time that they were responsible for sending commands to the spacecraft. Accordingly, the spacecraft itself has been fully exonerated. However it is found that of the 45 commands that can be sent to the spacecraft, four of them, including the command of the re-entry sequence, are unprotected from this kind of error. In Kamanin's opinion, in the last five years, Mnatsakanian's bureau has done nothing to ensure security of commands to spacecraft or the exploitation of this major weakness by the United States. It is decided that the launch of Voskhod-2 can go ahead in the second half of mine. However Korolev calls Kamanin and others to be briefed at his bedside. His temperature is down to 37 deg C, normal, but yesterday it was 40 deg C - diagnosis: "unknown cause". Korolev does not want to launch Voskhod-2 until a Zenit spy satellite has flown with its re-entry capsule fitted with the same airlock ring as Voskhod-2. This will prove that the re-entry capsule is stable during descent with the airlock ring, something that could not be demonstrated by Cosmos 57. Kamanin agrees that this will be proposed to the State Commission. However they do not part without sharp words being exchanged over the quality of VVS doctors and military versus civilian cosmonauts. Korolev notes that due to the military's complete lack of interest in space, the only military cosmonaut that will ever be needed is Gagarin.... Kamanin is wounded but realises the truth of Korolev's words, attributing the issue to Malinovskiy, who has blocked all proposals for a military role in manned spaceflight, let alone a VVS role. 1965 February 27 - . State Commission on Cosmos 57 - . Nation: Russia. Program: Voskhod. Flight: Voskhod 2. Spacecraft Bus: Vostok. Spacecraft: Voskhod. The final conclusion is as before, that simultaneous transmission of the air release command from IP-6 and IP-7 started the chain of events leading to the self-destruction of the spacecraft. It is decided that a Zenit planned for 4-8 March will fly with the Vykhod airlock ring, followed by the E-6 launch on 12 March, and the Voskhod-2 launch with a crew aboard for 15-20 March. Voskhod-2 crew review. - . Nation: Russia. Related Persons: Belyayev, Khrunov, Leonov, Zaikin. Program: Voskhod. Flight: Voskhod 2. Spacecraft Bus: Vostok. Spacecraft: Voskhod. Kamanin reviews emergency procedures with the Voskhod-2 prime and backup crews, and finds their training fully complete - they are ready for flight. Re-entry with the airlock ring is a special concern. If the airlock has jettisoned normally, the ring will have a height of 27-40 mm above the surface of the spherical capsule; if it only partially jettisons, the rings could be as much as 70-80 mm high. In such a case the asymmetry of the ring on the upper heat shield might impart a rotation to the capsule. The drogue parachute can be safely deployed at up to 1.5 to 2.0 revolutions per second; beyond that there is real danger to the crew's survival. If the experiment with the Zenit capsule fitted with the ring is successful, that will provide some confidence. But if the Zenit is not launched or fails to return to earth, then in Korolev's opinion the flight should be delayed until the safety of re-entry with the ring can be demonstrated. However the majority of the State Commission disagrees with Korolev, and believe it will be safe to proceed with the Voskhod-2 flight even without the Zenit test. 1965 March 4 - . Zenit preparations - . Nation: Russia. Related Persons: Tyulin. Program: Voskhod. Flight: Voskhod 2. Spacecraft: Voskhod, Zenit-4. Tyulin advises from Baikonur that the Zenit spacecraft has been fitted with sensors to measure the rotation rate of the capsule fitted with the airlock ring during re-entry. It is to be mated to the booster on 5 May, with launch on schedule for 7 May. Korolev wants the cosmonauts to report to the cosmodrome on 7 May. 1965 March 5 - . Voskhod plans - . Nation: Russia. Related Persons: Beregovoi, Khrunov, Korolev, Rudenko, Tereshkova, Volynov. Program: Voskhod. Flight: Voskhod 2, Voskhod 3, Voskhod 4, Voskhod 5, Voskhod 6. Spacecraft Bus: Vostok. Spacecraft: Voskhod. Kamanin is disappointed that there are few experiments of military significance in Korolev's plan. Kamanin calls Korolev to complain, and Korolev rightly replies that if the Ministry of Defence would authorise him to build more than nine spacecraft, then he could conduct other experiments... Meanwhile, Leonov is conducting his final practice sessions on exiting and re-entering the airlock aboard the Tu-104 zero-G aircraft. Khrunov will have his final sessions the next day. Tyuratam - . Nation: Russia. Related Persons: Belyayev, Khrunov, Korolev, Leonov, Tyulin, Zaikin. Program: Voskhod. Flight: Voskhod 2. Spacecraft Bus: Vostok. Spacecraft: Voskhod. Kamanin and the cosmonauts land at the airfield at 11:45, but have to wait until 12:10 for the arrival of Tyulin and Korolev for the official greeting. Korolev is ill but pushing himself hard. A dispute breaks out about crew assignments. At the last minute some want Khrunov to substitute for Belyayev. Korolev is clearly disgusted by such reversals after the prime crew has been set for months. 1965 March 10 - . Voskhod-2 preparations - . Nation: Russia. Related Persons: Belyayev, Gagarin, Khrunov, Komarov, Leonov, Zaikin. Program: Voskhod. Flight: Voskhod 2. Spacecraft: Berkut, Voskhod. Final flight suit fitting is conducted on Belyayev, Khrunov, Leonov, and Zaikin by Komarov and Gagarin. It is decided that on flight day only Belyayev, Leonov, and Khrunov will suit up. Khrunov has trained for both crew positions, and in case of last second substitution, he can fly in place of either Belyayev or Leonov. Kamanin tells of the opposition to Belyayev making the flight, which goes back to an incident in the altitude chamber when a Colonel Karpov underhandedly reported that Belyayev was performing poorly. Kamanin believed this was due to bad telemetry. Leonov recounts another incident where the oxygen supply was failing during the same test, but Belyayev did not denounce the Factory 918 staff. That evening the contingent watches the Arabic film "Black Glasses". At the same time an incident is developing when Khrunov insists that the second crew would only train in the capsule in their spacesuits - otherwise they would report to the State Commission that they were not ready for flight. That evening's training session was cancelled as a result. 1965 March 11 - . Voskhod preparations incident - . Nation: Russia. Related Persons: Khrunov, Korolev. Program: Voskhod. Flight: Voskhod 2. Spacecraft Bus: Vostok. Spacecraft: Voskhod. Korolev is furious over Khrunov's actions, and says he does not need such cosmonauts in his program. The matter seems to be escalating, but is finally defused when Khrunov meets with Korolev..
1965 March 13 - . Voskhod-2 crew briefing - . Nation: Russia. Related Persons: Belyayev, Gagarin, Kamanin, Komarov, Korolev, Kuznetsov, Leonov, Rudenko. Program: Voskhod. Flight: Voskhod 2. Spacecraft Bus: Vostok. Spacecraft: Voskhod. Korolev, Rudenko, Kamanin, Kuznetsov, Gagarin, Komarov, and Tselikin give the crew their final briefing. Communications protocols are worked out. Korolev tells the crew he is satisfied that they are ready for flight, but tells them not to take unnecessary risks or heroics. The main thing is that they return safely to earth. Sunday at the cosmodrome. - . Nation: Russia. Related Persons: Belyayev, Keldysh, Leonov. Program: Voskhod. Flight: Voskhod 2. Spacecraft Bus: Vostok. Spacecraft: Voskhod. Volleyball, chess, excessive drinking by some. Keldysh returns to Moscow; journalists arrive from Moscow..
Voskhod-2 state commission - . Nation: Russia. Related Persons: Belyayev, Korolev, Kuznetsov, Leonov, Severin. Program: Voskhod. Flight: Voskhod 2. Spacecraft: Berkut, Voskhod. Korolev, Severin, Kuznetsov, and Kamanin certify the readiness of the booster and spacecraft, the airlock and spacesuit, the astronauts, and the recovery forces. Roll-out to the pad is set for the morning of 17 March, with launch on 18 or 19 March. In the evening the recovered Zenit-4 capsule arrives at Baikonur and is examined by the astronauts. The rate of rotation never exceeded 40 - 100 degrees/second, well within the tolerance of both the crew and the parachute deployment system. 1965 March 17 - . Voskhod 2 preparations - . Nation: Russia. Related Persons: Brezhnev, Keldysh, Korolev, Rudenko, Smirnov, Tyulin, Ustinov. Program: Voskhod. Flight: Voskhod 2. Spacecraft Bus: Vostok. Spacecraft: Voskhod. With the rocket erected on the pad, a meeting is held several hundred meters away between the chief designers, Keldysh, Rudenko, and 600 to 700 workers. Afterwards Korolev and Tyulin call Moscow, and certify to Smirnov, Ustinov, Kosygin, and Brezhnev that all is ready for the flight. 1965 March 18 - . Voskhod 2 - . Nation: Russia. Related Persons: Gagarin, Korolev, Rudenko, Tyulin. Program: Voskhod. Flight: Voskhod 2. Spacecraft: Berkut, Voskhod. Duration: 1.08 days. At 07:30 the state commission meets at the pad and gives the go-ahead. At 8:30 Korolev, Tyulin, Rudenko, and Kamanin observed the cosmonauts donning their suits. At 09:20 they met the cosmonauts again at the pad. After handshakes, the crew went up the elevator, the calm Belyayev being loaded first in the capsule, followed by excited Leonov. Korolev, Gagarin, and the others left the pad for the bunker 10 minutes before the launch. The launch went well, although the suspense in the first 44 seconds of flight (when crew abort was not possible) was unbearable. The final stage shut down at T+526 seconds, and the crew was in orbit. Even though he doesn't smoke, Korolev has a cigarette at T+530 seconds, once he knows the crew is safe in orbit. The party then moved to the KP command point, where over the next four hours they watched the first man - a Soviet man, Alexei Leonov - enter free space. All operations - airlock deployment, airlock pressurisation, opening the hatch from the spacecraft, entering the airlock, the inner hatch closing, depressurisation of he airlock, opening of the outer hatch, Leonov's exit into space - went well. Television images showed him somersaulting in space, moving 3 to 5 m from the capsule with the earth in the background. There was some worry when the capsule began revolving at 20 degrees per second during the spacewalk, and the high concentration of oxygen (45%) in the cabin. The rotation is stopped, but after consulting with the crew, and considering the large oxygen reserves available, it is decided not to worry about the high oxygen level in the cabin. Kamanin goes to bed at 12:00, overjoyed by the success of the day's events. 1965 March 18 - . 07:00 GMT - . Launch Site: Baikonur. Launch Complex: Baikonur LC1. LV Family: R-7. Launch Vehicle: Voskhod 11A57. Voskhod 2 - . Call Sign: Almaz (Diamond ). Crew: Belyayev, Leonov. Backup Crew: Gorbatko, Khrunov, Zaikin. Payload: Voskhod 3KD s/n 4. Mass: 5,682 kg (12,526 lb). Nation: Russia. Related Persons: Gagarin, Korolev, Rudenko, Tyulin. Agency: MOM. Program: Voskhod. Class: Manned. Type: Manned spacecraft. Flight: Voskhod 2. Spacecraft Bus: Vostok. Spacecraft: Voskhod. Duration: 1.08 days. Decay Date: 1965-03-19 . USAF Sat Cat: 1274 . COSPAR: 1965-022A. Apogee: 475 km (295 mi). Perigee: 167 km (103 mi). Inclination: 64.80 deg. Period: 90.90 min. 1965 March 18 - . 08:34 GMT - . EVA Voskhod 2-1 - . Crew: Leonov. EVA Duration: 0.0160 days. Nation: Russia. Related Persons: Leonov. Program: Voskhod. Class: Manned. Type: Manned spacecraft. Flight: Voskhod 2. Spacecraft Bus: Vostok. Spacecraft: Voskhod. First walk in space..
1965 March 19 - . Landing of Voskhod 2 - . Return Crew: Belyayev, Leonov. Nation: Russia. Related Persons: Belyayev, Korolev, Leonov, Voronin. Program: Voskhod. Flight: Voskhod 2. Spacecraft Bus: Vostok. Spacecraft: Voskhod. 1965 March 20 - . Voskhod 2 crew contacted - . Nation: Russia. Related Persons: Belyayev, Leonov, Rudenko. Program: Voskhod. Flight: Voskhod 2. Spacecraft Bus: Vostok. Spacecraft: Voskhod. The crew spent the night in the forest. Only at dawn can a helicopter fly over the landing point again. He reports he sees the two crew, one felling wood, the other building a bonfire. During the night, neither the two crew from the helicopter that landed 5 km away or the searchers from the PVO regiment were able to find the crew in the dense forest. Finally at 07:30 a Colonel Sibiryakov, physician Tumanov, and a technician are lowered from a Mi-4 helicopter to a point 1500 meters from the capsule. Several others are lowered to begin chopping down trees to create a clearing where the helicopter can land. Sibiyakov's party depart at 08:30, skiing toward the capsule, finally reaching the crew after three hours of arduous travel at 11:30. The crew is in fine condition - helicopters had dropped supplies and warm underwear the night before. The recovery forces want to have a helicopter pick up the cosmonauts from the landing site, meaning hoisting them from a hover at an altitude of 5 to 6 m. Rudenko vetoes this idea due to the poor visibility, insisting they must be evacuated in snowmobiles. When he is told this is impossible, he becomes adamant that they must wait for conditions to improve. This is ridiculous. Kamanin believes there will be hell to pay if the cosmonauts have to spend a second night in the forest at a landing point only 70-80 km from the capital of the oblast. 1965 March 21 - . Voskhod 2 crew recovered - . Nation: Russia. Related Persons: Belyayev, Brezhnev, Keldysh, Korolev, Leonov. Program: Voskhod. Flight: Voskhod 2. Spacecraft Bus: Vostok. Spacecraft: Voskhod. By the next morning, two clearing suitable for helicopter operations have been cleared - a small zone 1.7 km from the capsule, and a larger zone 5 km from the capsule. At 6:50 the cosmonauts and their rescuers - seven in all - ski away from the capsule, reaching the small zone at 8:06. They are picked up there by an Mi-4 helicopter and flown to the large zone, arriving their 20 minutes later. From there a larger Mi-6 helicopter flies them at 9:50 to the airport at Perm. They were to depart aboard an An-10 from Perm at 11:00 for Tyuratam, but their departure is delayed by an hour as they talk on the telephone with Brezhnev. Afterwards toasts are raised at Area 10 at Baikonur by the Chief Designers and Keldysh. Korolev calls for them all to push together toward reaching the moon. The cosmonauts finally arrive at the cosmodrome at 17:30 and are driven through cheering crowds in Zvezdograd. In the hall of the hotel they give the first account of their mission. 1965 March 22 - . Voskhod 2 debriefings - . Nation: Russia. Related Persons: Belyayev, Brezhnev, Keldysh, Korolev, Leonov. Program: Voskhod. Flight: Voskhod 2. Spacecraft Bus: Vostok. Spacecraft: Voskhod. The Voskhod 2 crew briefs the State Commission from 10:00 to 13:00. At 13:00 Korolev and Keldysh call Brezhnev, and are told to have the cosmonauts in Moscow the next day for celebrations..
1965 March 23 - . Voskhod 2 crew in Moscow - . Nation: Russia. Related Persons: Belyayev, Brezhnev, Leonov. Program: Voskhod. Flight: Voskhod 2. Spacecraft Bus: Vostok. Spacecraft: Voskhod. The crew is feted at Red Square, followed by a 17:00 reception in the Kremlin with Brezhnev, Kosygin, and other leaders..
Voskhod 2 press conference preparations - . Nation: Russia. Related Persons: Belyayev, Keldysh, Leonov, Sedov. Program: Voskhod. Flight: Voskhod 2. Spacecraft Bus: Vostok. Spacecraft: Voskhod. Belyayev and Leonov are trained for their press conference. Keldysh and Sedov and others take the crew through the acceptable answers to likely questions. Kamanin wants the crew to provide truthful answers to questions on the problems the crew faced, but Keldysh absolutely prohibits this. 1965 March 25 - . Voskhod 2 truth? - . Nation: Russia. Related Persons: Belyayev, Brezhnev, Keldysh, Korolev, Leonov, Smirnov. Program: Voskhod. Flight: Voskhod 2. Spacecraft Bus: Vostok. Spacecraft: Voskhod. Kamanin meets Korolev at 9:30; Korolev agrees with Kamanin that the truth of the difficulties encountered should be revealed at the press conference. The matter must be escalated to Brezhnev, since Keldysh and Smirnov are against this course. At 10:30 the leading engineers of OKB-1 meet with 11 of the cosmonauts. The results of the Voskhod-2 flight are reviewed. Voskhod 2 press preparation - . Nation: Russia. Related Persons: Belyayev, Keldysh, Leonov. Program: Voskhod. Flight: Voskhod 2. Spacecraft Bus: Vostok. Spacecraft: Voskhod. Belyayev and Leonov are given 60 likely questions from the press corps, and briefed on allowable answers. In the afternoon the press conferences are held, with Keldysh sitting at the podium with the cosmonauts. It goes well, and the video of the spacewalk is shown. 1965 March 31 - . Program priorities - . Nation: Russia. Related Persons: Belyayev, Korolev, Leonov. Program: Voskhod. Flight: Voskhod 2. Spacecraft Bus: Vostok. Spacecraft: Voskhod. Kamanin is trying to co-ordinate a visit to Kaluga by Belyayev and Leonov with Korolev, but Korolev is totally concentrating on getting a Luna E-6 to soft land on the moon. The Soviet Ministers are on his back as a result of the string of failures so far. 1965 April 22 - . Voskhod-2 overshoot - . Nation: Russia. Related Persons: Belyayev, Leonov. Program: Voskhod. Flight: Voskhod 2. Spacecraft: Berkut, Voskhod. Kamanin notes Gemini-3 landed 96 km from the aim point. He notes that all Soviet Vostok and Voskhod landings have been of high precision, using the automatic landing system. Voskhod-2 missed the aim point by 368 km, but this was due to a 46 second delay in activating the retrorocket. This delay was due to the layout of Voskhod, which left the Vostok cabin instruments and Vzor visual orientation device in their original place, but mounted the crew seats perpendicular to the original orientation of the Vostok ejection seat. This meant, to manually orient the spacecraft, Belyayev had to float across the seats in order to see the Vzor device. After orienting the spacecraft, he had to return to his seat before igniting the retrorocket. All of this, in the cramped cabin and the crew in spacesuits, took much longer than expected. 1965 May 8 - . Voskhod-2 design review - . Nation: Russia. Related Persons: Belyayev, Korolev, Leonov. Program: Voskhod. Flight: Voskhod 2. Spacecraft Bus: Vostok. Spacecraft: Voskhod. 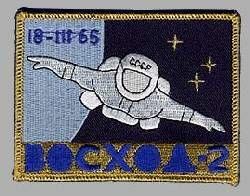 A meeting between the cosmonauts and OKB-1 becomes heated on the question of the Voskhod design. Korolev and his specialists attempt to minimise the design approach that made manual re-entry for Voskhod-2 so difficult. 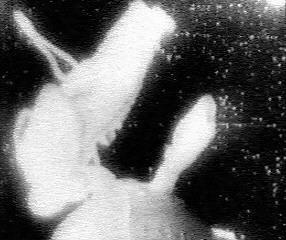 In fact the state commission concluded that it was impossible to conduct a manual re-entry with the crew in their seats. Korolev agreed that later Voskhods will be equipped with instruments allowing manual re-entry with the astronauts seated, and apologised for the oversight. 1965 October 2 - . Cosmonauts to learn English - . Nation: Russia. Related Persons: Belyayev, Leonov. Program: Voskhod. Flight: Voskhod 2. Spacecraft Bus: Vostok. Spacecraft: Voskhod. The VVS leadership is demanding that all cosmonauts become proficient in the English language. Kamanin promises to provide a plan within 3 days. Belyayev and Leonov are on the road, in Berlin. .
1965 October 14 - . Long range plans - . Nation: Russia. Related Persons: Belyayev, Gagarin, Leonov, Nikolayev, Tereshkova. Program: Voskhod. Flight: Voskhod 2. Spacecraft Bus: Vostok. Spacecraft: Voskhod. The issue of ground support for manned lunar missions is discussed within the VVS. It will be necessary to have continuous and reliable tracking and communications of spacecraft in parking orbit prior to trans-lunar injection, in orbits with inclinations between 51 and 65 deg. Kamanin is tasked to develop a forecast and plan for necessary developments in the next 4 to 5 years. Later Kamanin considers cosmonaut travels. Nikolayev and Tereshkova are to go to Japan on 21 October. Leonov and Belyayev have returned from a tour of Bulgaria, Greece, East Germany, and Cuba, but they made several mis-statements during the tour which have been brought to Kamanin's attention. The issue of getting Gagarin back into cosmonaut training is again broached. Leonov and Belyayev accused - . Nation: Russia. Related Persons: Belyayev, Leonov. Program: Voskhod. Flight: Voskhod 2. Spacecraft Bus: Vostok. Spacecraft: Voskhod. Representatives from the Central Committee believe that, when Leonov and Belyayev discussed their spacewalk with US representatives visiting Moscow, this was used by the Americans to accelerate preparations for their own spacewalk from Gemini 4..